Exterior changes appear subtle, but it should have a new platform underneath. 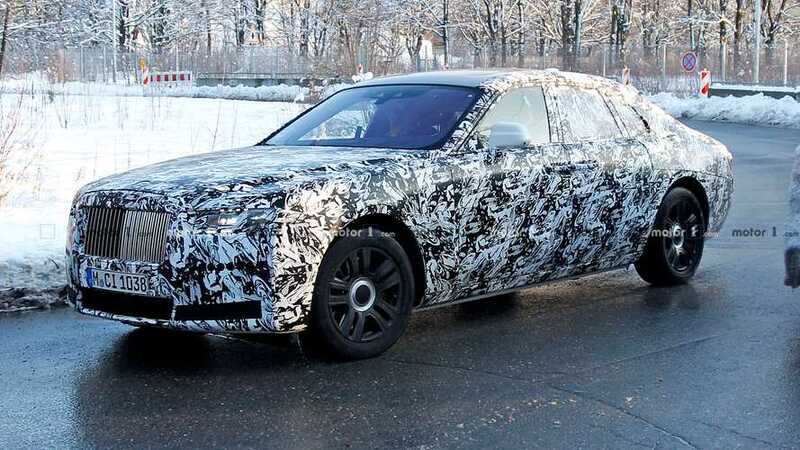 We caught our very first glimpse of the new Rolls-Royce Ghost just a couple weeks ago, but it was perched on a car transporter. Spy photographers were able to get a decent look at the side, but with other vehicles obscuring the front and back we couldn’t get a full view of the forthcoming model. Diligence has been rewarded, however, with a new sighting of the revamped luxury car on the streets of Munich. This time around we’re treated to a great look at both the front and rear, and though there’s still plenty of camo wrap all over, we can suss out some details. The face bears a clear resemblance to the larger Phantom, notably with a fresh set of narrow headlights and a grille that adopts more of a squared shape compared to the rectangular design on the current car. There appears to be more rake to the rear pillars, which should give the new Ghost a more rounded, sloping backside. This prototype has placeholder taillights, suggesting at least a modest change will befall the rear lenses. The Ghost has always been a slightly rounder variant of the larger Phantom, and from what we can see thus far the visual changes won’t rewrite the styling book at Rolls-Royce. 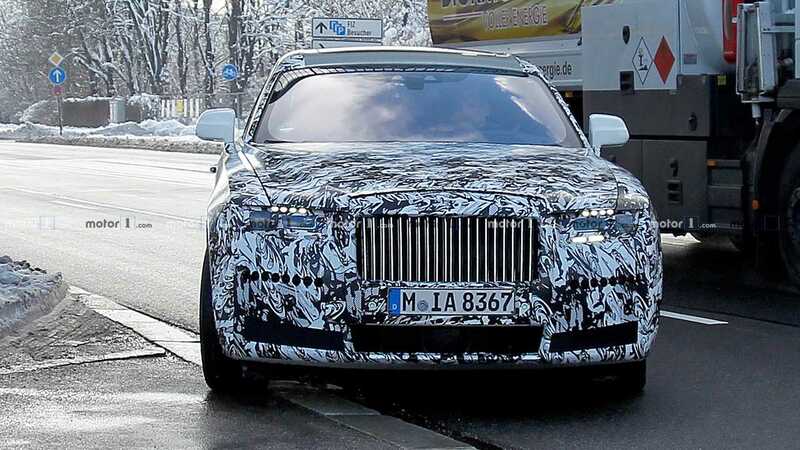 However, underneath the skin should be a tweaked version of the platform currently used by both the Phantom and Cullinan. It will be the first major update to the Ghost in a decade, as the current model dates back to 2010. Similarly, the interior is expected to get a full makeover, though we haven’t managed to catch any glimpses behind the glass. We’re also in the dark on powertrain options – Rolls-Royce has talked about going electric and it’s possible the Ghost could incorporate a fully electric option in its future. A familiar twin-turbo V12 is likely in the plan as well, at least for the near-term. Speaking of which, when will we see this new car? That’s completely unknown at this point, but considering the placeholder lights and its recent appearance in the wild, we’re probably at least a year away from an official unveiling.